For my first day in India, I had a busy schedule visiting as many sites as I could in Delhi, knowing I'd be leaving the same evening for Agra to visit the Taj Mahal the following day. To end this quick tour in Delhi, I decided to visit Qutab Minar, a beautiful minaret from the medieval era made of sandstone and marble. It would however be a shame to focus only on the minaret, as there are many other attractions there. 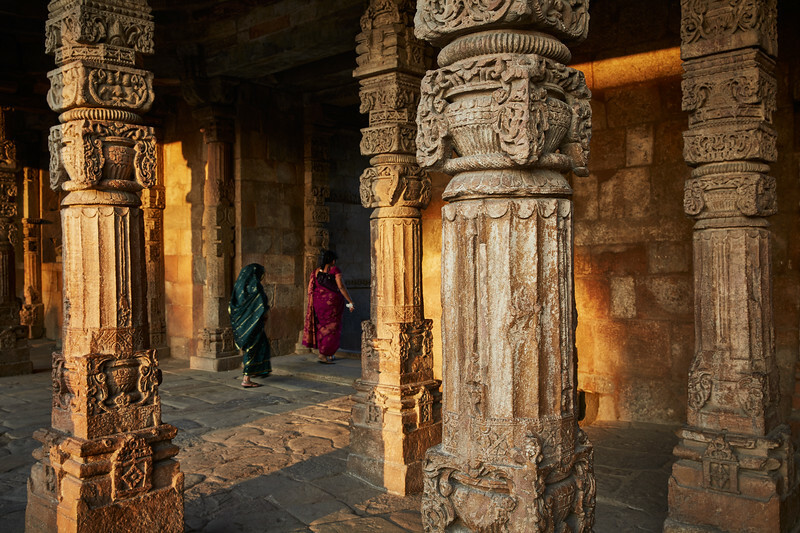 I was particularly drawn to the beautiful carvings on those pillars made magnificent by the soft evening light.